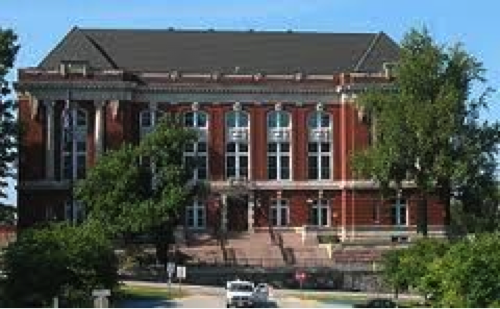 The recent decision in Templemire v. W & M Welding, Inc by the Missouri Supreme Court, has far-reaching implications for all employers – including local government.The new test to determine if there has been retaliatory action under section 287.780 RSMo., against an employee for making a claim under the Workers Compensation Law is whether or not the claim was a “contributing factor” to the employer’s action. Prior to the decision in Templemire the test was whether or not the action by the employer against an employee was the “exclusive cause” for the employers actions. The difference between the old and new test is like night and day. The Templemire case is the latest in a string of cases adopting the “contributing factor” test. First, the Court adopted the “contributing factor” test with respect to cases under the Missouri Commission for the Human Rights Act in Daugherty v. City of Maryland Heights, and then, with respect to employer actions for failure to pay, overtime in Fleshner v. Pepose Vision Institute. If an employer discriminates against an employee who filed a claim the employer should expect a lawsuit for damages based on the private cause of action created by 287.780 RSMo. for discriminating against someone who filed a workers compensation claim. The new test radically changes the balance with respect to retaliatory action by employers against employees for making a claim under the Workers Compensation Law from a likely win to a likely loser for employers. So how do employers protect themselves from retaliatory discharge claims under the Workers Compensation Law? Before answering this question it is useful to review the facts in the Templemire case to learn from the good, the bad and the ugly. Templemire (Employee) was injured on the job, and filed a worker’s compensation claim. After returning to the job the Employee was put on light duty and was later fired by the Employer. The Employee filed a claim of retaliatory discharge under 287.780 of the Worker’s Compensation Act, which allows the Employee to bring a claim for damages. There are certainly some inferences in Templemire that the Employee took advantage of the situation. On the other hand, the facts showed that the Employer took substantial steps to accommodate the injury of the Employee by providing light duty work and had in place policies that provided for progressive discipline. This is good. Of course, not everything went the way it was supposed to because the Employer did not follow its progressive disciplinary policy. The Employee had a stellar record with no discipline until after he was injured when he was fired. The Employee was generally regarded as a good worker and a nice guy by his co-workers and supervisors. Ouch, this hurts and is bad. So much for progressive discipline. Worse yet, at the supervisory level there were a lot of statements adverse to the Employers interest because when the supervisor got fed up he blew up (the court called it a “tirade”). The supervisor believed the Employee was milking the injury and told the Employee he could “sue him for whatever reason, that’s what he pays premiums for and the attorneys.” This is ugly. In addition, the Employee was able infer that to the Employer seemed to have a policy of treating injured workers harshly. As you can see this case was a mixed bag for the Employer allowing the trier of the facts (jury or judge, but usually a jury) the leeway to decide the case for or against the Employer making the instructions to the jury critical. This is because the Employee merely needed to establish that the worker’s compensation claim was a “contributing factor” to the Employer’s decision to terminate his employment. Once the Employee was able to establish that the claim was a contributing factor, then the jury could return a verdict in his favor. retaliation claims are going to be very difficult to defend because jurors will naturally sympathize with the injured employee and judges will not like anything that looks like it was retaliation. So what should the employer do to minimize its exposure from claims of retaliatory action by employees who have filed Worker’s Compensation claims? Carefully investigate the facts and suspend the employee if necessary while you determine the facts. Do not take disciplinary action against an employee who filed a workers compensation claim without careful review of the facts. It is better to suspend the employee while action is being considered then make a hasty decision that you will later regret. Have a progressive disciplinary policy that you follow. I have been involved in many cases where the supervisor contends that the employee was the worst employee in the world but when you looked at the personnel file of the employee there is nothing in the file to back up these statements. In fact, it is not uncommon to see glowing reports of the employees performance with no indication that there is a problem. Many times this is a result of the so-called proverbial “straw that broke the camels back” syndrome. The supervisor does nothing to document his or her concerns until he or she has had their fill of putting up with the employee’s actions and then it all breaks loose. Except for the most extreme violation of the work rules, an employer should never fire or take other disciplinary action against a “never previously disciplined or reprimanded” employee that has filed a worker’s compensation claim as it would likely be a recipe for disaster. Document, document, document. An employer should maintain written documentation of employee’s work rule violations. If the employee is claiming a back injury and you can obtain photos or video of the employee installing a new roof, as I once did, then the case will be much better. I know loafing on the job is hard to document, but you might be able to do this without being too intrusive, through electronic records. Otherwise good old-fashioned handwritten records that carefully document the actions of the employee are important to back up other evidence. Train supervisors to not make adverse statements. Tirades should not be tolerated.Remember the attorney for the employee will always be looking for some sort of statement made by your supervisors or yourself to show that you took discriminatory action or you are prejudiced. Once the other side finds these statements or actions they will milk it for everything it’s worth. I have always scrutinized the record to see if I can find some little gem, which I can use throughout the case to show discrimination, prejudice or unreasonableness. Local government officials and other employers may wonder what they can do to establish a reasonable balance between what is fair for the employer and employee. Certainly the remedy will have to come from the General Assembly. The rule prior to the Templemire case was unfair to the employee while, after the change the rule is unfair to employers. There is an intermediate standard known as the McDonnell Douglas burden shifting standard that is used in federal court for EEOC violations, which seems to strike a balance between the two extremes. Under that standard once the employee has made a prima facie case the employer can show it had a valid reason for taking the action that does not violate the law; provided, however the employee can rebut the employers reason by showing that it was a pretext for the employer’s actions. Employers should work together through the MML and/or the Chamber of Commerce as well as other groups to bring about a legislative solution by the General Assembly to strike a fair balance between the rights of workers and employers. This entry was posted in Law and Policy and tagged 287.780 RSMo, Contributing factor test, Fleshner v. Pepose Vision Institute, Human Resource Policies, On the job injury, retaliation against employee for injury, retaliation by employer, Templemire v. W & M Welding, workers compensation retaliation. Bookmark the permalink.